Rights of Cohabitants; is the law fit for purpose? The number of couples cohabiting in the United Kingdom has seen a marked increase in the last decade. In Scotland, the legal framework concerning rights of cohabitants on the ending of a relationship is dealt with in Sections 26 to 29 of the Family Law (Scotland) Act 2006. Before it was enacted, the intention of the legislation was to “create legal safeguards for the protection of cohabitants in longstanding and enduring relationships.” The legislation makes provisions for rights in certain household goods (section 26), rights in certain money and property (section 27), rights to seek order for financial provision from a court where cohabitation ends otherwise than by death (section 28) and rights for a surviving cohabitant to make an application to the court for payment of a capital sum or transfer of property from a deceased’s intestate estate (section 29). Following a consultation, where responses were invited from members of the legal profession and public, the Law Society of Scotland have recently published a paper (Rights of Cohabitants, https://www.lawscot.org.uk/media/361911/rights-of-cohabitants-paper.pdf). Contained within this paper is a discussion on the legal provisions and proposals for change. A number of apparent issues in the existing legislative provisions were identified. Comment is made on whether the strict 12-month period for a cohabitant to raise an action seeking an order for financial provision in terms of Section 28 of the Family Law (Scotland) Act 2006 is appropriate. The paper highlights that many individuals may not be aware of their rights, that there may be emotional effects suffered following the breakdown of a relationship and that there are vulnerable parties who may be reluctant to pursue a claim shortly after the breakdown of a relationship through fear of repercussions. It is considered that the strict time limit and lack of ability for the court to have discretion to accept an application after the expiry of twelve months following the ending of the parties’ cohabitation is not desirable. The proposal of the Law Society of Scotland is for the court to be allowed discretion to consider applications submitted after the twelve month time limit on cause shown. In addition, the paper discusses the strict time-limit of six months for the lodging of an application by a surviving cohabitant for payment of a capital sum or transfer of property from a deceased’s intestate estate. The paper recognises that circumstances beyond the control of a surviving cohabitant can be of relevance, including delays in appointing executors to a deceased’s estate, a will that is challenged or where all or part of a deceased’s estate becomes intestate sometime after death. The proposal is that the time limit be extended to twelve months after the deceased’s death or, where confirmation is obtained more than 12 months after the date of death, up to six months after the date of confirmation. It is also suggested that the court have discretion to accept a late application on cause shown. Further, it is recognised in the paper following a recent court decision that cohabitants may not be entitled to make a claim under the common law remedy of unjustified enrichment. It is proposed that this be reviewed to allow claims of this nature to be made in appropriate cases. The paper calls for a full review of the sections of the Family Law (Scotland) Act 2006 relative to cohabitants rights. • Should there be separate regimes for financial provision for separating spouses and cohabitants? • Whether the definition of cohabitant is apt in the 21st Century. • Should a wider range of remedies be available? • Does the test in section 28(3)-(6), meet the policy aims of certainty, fairness and clarity? If not, how might it be improved? • Should resources be taken into account? • Should provision be made to set aside or vary cohabitation agreements in certain circumstances? • Is the time limit for claims under section 28 too short? If so, should it be extended or should there be judicial discretion to allow late claims? • Should the remedy of unjustified enrichment be available to former cohabitants (in addition to / instead of) a claim under section 28? The current law concerning financial provision for cohabitants is complex. It is important that individuals seek legal advice from a family law solicitor as soon as possible upon the ending of cohabitation. 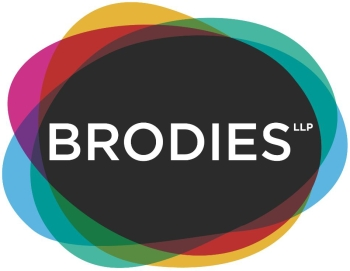 Brodies LLP has a number of family law solicitors across Scotland who possess a breadth of experience in this field. Should you require advice, please do not hesitate to contact one of our team.